The fifth and final category of this Top 10 series is dedicated to stories drive games – games I felt had the best story or concept, or games that just didn’t really fit in the previous categories. Now, there have been many, many great games over the years with incredible stories. The Gears of War series told a harrowing, gloomy tale of desperation and loss, while the heroes fight against insurmountable odds. Bioshock 1 and Infinite also told incredible stories in unique locations. Bioware with EA are well known for their rich and deep Role-Playing stories in the Mass Effect series, and Dragon Age. Rockstar is another team that continually produces incredible, lengthy campaigns. Any of the games on my list thus far could have made this category, and there’s hundreds that I’m not evening thinking about, including numerous indie gems, or games from smaller teams like Telltale Games. With two games remaining in my countdown, I obviously had many to choose from, but I wouldn’t be doing this list justice if I failed to mention the Grand Theft Auto series, and the brilliant minds that gave us Portal 2. Now, neither of these games are specifically story games, one being a crime filled, explosion fueled murder simulator, and the other being a platforming puzzle game pitting a lone hero against a psychopathic robot. But these games broke the mold and redefined genres. And they each delivered an incredible experience. That’s why I chose them to round off my Top 10. Honourable mention goes to Red Dead Redemption, Dues Ex Human Revolution, and Bioshock Infinite (I know, a FPS, but the story was its best feature). Rockstar as a developer, with its many teams, can seemingly do no wrong, except release a stable multiplayer environment (heyoooo), but at least they apologized and made up for it. But back on track – Rockstar refuses to make bad games. Sure Grand Theft Auto 4 was kind of murky looking, and Max Payne 3 came out 30 years too late, but I digress. With each new game, Rockstar takes what they did previously and builds on it, and then takes what failed, re-evaluates it and fixes it. Rockstar Games started initially gaining traction with their early Grand Theft Auto games: a top down, uber violent game about killing people and stealing cars. They built on these concepts further with a deeper story and a 3rd dimension with Grand Theft Auto 3 and Grand Theft Auto Vice City. With these huge successes under their belt, they stirred it up a bit and released a racing game, Midnight Club, and a dreary, dark story game revolving around a tragic hero in Max Payne, and gave us slow-motion gunplay. Then they refocused and gave us Grand Theft Auto San Andreas: a huge world with a boat load of new mechanics, like body types and athletic levels, and hunger. Since then, they’ve been releasing hit after hit, with Grand Theft Auto 4 in the most recent generation, and Red Dead Redemption, another Midnight Club Game, Max Payne, and now finally Grand Theft Auto V, arguably the biggest game release, and most anticipated of all time. And the sales back the arguments. 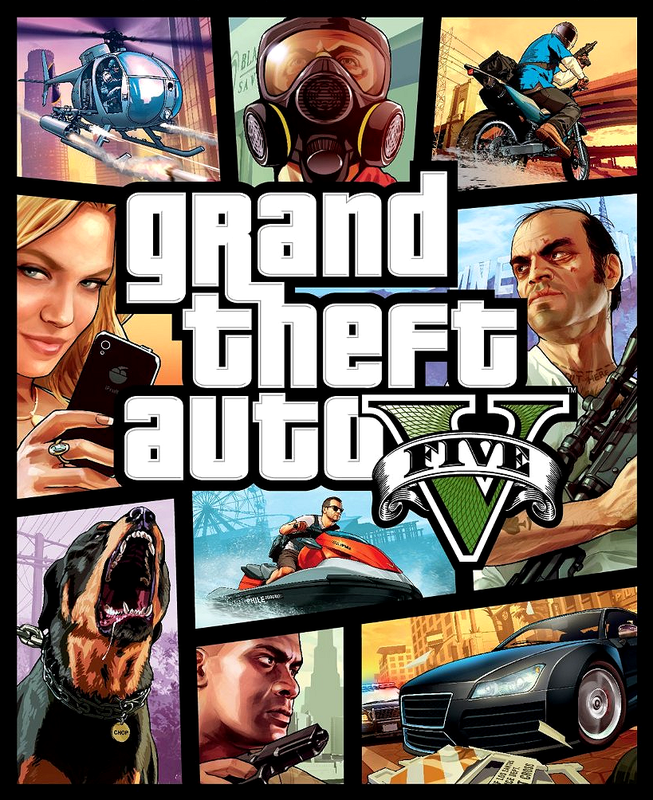 Grand Theft Auto V was huge, and not just in scale and scope, but game mechanics, story, characters, heists, and a persistent online world. The game focuses on three separate characters: Michael De Santa, retired ex-criminal trying to make a new life, Trevor Philips, redneck, con-man, and Michael’s old partner in crime, and Franklin Clinton, upstart criminal working for an illegal repossession ring. 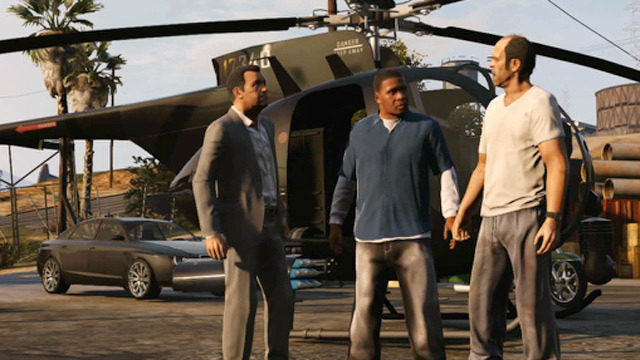 Each character is interconnected through the story as they complete missions and heists, sometimes with only one, sometimes with all three. And each player is separately played to complete their own individual stories on the side. The player can switch at any time to whichever character they want, assuming that they’re available at that time. The characters, when not being played, will continue to live their lives as ‘normal’. This was a big leap in gameplay and storytelling for games, and I’m assuming a lot of developers will try to mimic this mechanic in the future. Sounds like the Assassin’s Creed iteration this year will use this feature. The game brings us back to country San Andreas and the city of Los Santos, both country and city realized in amazing attention to detail. The game pushed boundaries on art and design, and hardware when it was released last generation and called for a complete overhaul on the Xbox One and PS4 a year later, with a 4K remastering on the PC. The online world was a new game unto itself, allowing you to play with friends, race, and do PvP missions. And recently, play cooperatively in Online Heists. Grand Theft Auto V is hard to describe. Its story has heart, its gameplay is perfect, and it looks gorgeous. Rockstar has taken all their experience from years of crafting amazing games, and come up on top again, with their best creation to date. It’s hard to imagine how they could ever top this. This entry was posted in Feature, Reviews and tagged Games, Gaming, Grand Theft Auto, Rockstar Games, Top 10, Video Games, Xbox, xbox 360. Bookmark the permalink.